I wasn't really planning to go see Les Miserables, but I received an invite to do this thing, so that was that. I've never seen the stage production, and I only read the Classics Illustrated comic adaptation when I was a youngster, so I had no preconceived notions about the story. As for the film, the only real advance knowledge I had came from a featurette I saw a while back about the actors actually singing their parts live rather than being dubbed. Rather than an in-depth review, I'll just offer up a few thoughts, for I did find it a significant, noteworthy cinematic production. There are a handful of musicals that I really love, most going back to childhood: The Wizard of Oz, of course; The King and I; My Fair Lady; Camelot; South Pacific; even The Sound of Music, to some degree. In more recent years, I've been quite taken with Sweeney Todd and Wicked. In general, though, the musical is not a theatrical form of which I am terribly enamored. Les Mis offers a handful of impressive songs — certainly the numbers are beautifully staged and performed — but by and large, I can't say I found much of the music memorable or otherwise distinctive. Technically, Tom Hooper's Les Mis is a beautiful film, with loads of CGI that's obvious yet artful; it blends rather than intrudes.The stylized sets, virtually to the last, feel dank and claustrophobic; certainly apt, given the setting. Thankfully, there are at least a few grand, panoramic shots strategically placed amid the scenes to offer some much-needed brightening, particularly after we have been confined to the grim, utterly depressing chambers of the paupers for such extensive portions of the very lengthy running time (157 minutes). I was quite taken with the cast. Jackman is reliably excellent, and here, as former convict-turned-respected-mayor Jean Valjean, he turns in a superlative dramatic performance, with singing far beyond mere competence. I must say, Anne Hathaway surprised me with her masterful, emotive performance as Fantine; I've always given her credit as an actress, and this sewed it up for me. 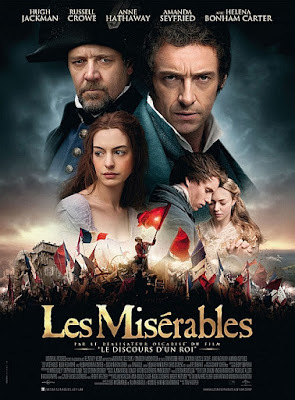 By the conclusion of "I Dreamed a Dream," I was in tears — one of two or three such occasions in the film. Now, whatever his personal lack of charm, I admire Russell Crowe as an actor; in fact, I can scarcely think of a performance in which he hasn't excelled. He does everything right in Les Mis except sing. He clearly gives it his best, but an operatic talent he is not. Still, I can't fault him but so much, for though he may not shine as a vocalist, he pays the character of Inspector Javert his absolute due. Helena Bonham Carter as Mme. Thénardier, the Innkeeper's wife.... well, she basically reprises her performance as Mrs. Lovett from Sweeney Todd. Certainly not a bad bit of casting for this character. And speaking of the Innkeeper... M. Thénardier... comic virtuoso Sacha Baron Cohen chews up the scenery — not to mention rotting meat, artificial appendages, cat tails, and bugs. If ever a production needed some comic livening, this is the one, and Cohen offers it up in spades. Amanda Seyfried as Cosette mostly wanders doe-eyed through the film, simply because that's the character's ordained fate, but in a couple of songs she does emote effectively. I found the prevalence of Cockney accents in 19th-century France most disconcerting. Scarcely a trace of authentic French, or even French accent, to be heard. I can understand the actors eschewing what might play as mere affectation, but more neutral vocalizing might at least dull the shock of it, particularly in the case of the lad Gavroche, played by young Daniel Huttlestone, who might as well have come off the streets of Whitechapel in My Fair Lady. I quite concur with many of the accolades bestowed upon director Tom Hooper for his work on this big, oftentimes impressive piece of theater. In numerous ways, it's a brilliant achievement. Yet, while individual moments of this film moved me as much as any film can, on the whole, I felt strangely unaffected, particularly during the second half the movie, when the young revolutionaries begin their plotting and the love story between Cosette and Marius — played at least competently by Eddie Redmayne — takes center stage. After the first hour and a half, I was really beginning to wonder whether my posterior would quite hold out till the end of the film. For all its virtues, Les Mis just doesn't call me to even attempt to watch it again. I suppose I might welcome an opportunity to check out the original stage production, but I would probably want some wine first. 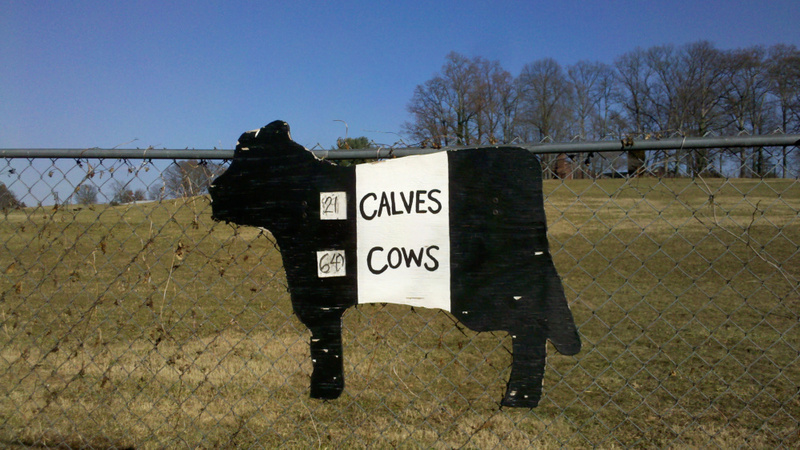 One of the most enjoyable activities to come with this Christmas season was participating in the Dirty Santa Geocaching event at The Corner Cafe in Ringgold, Virginia, a couple of weeks back. I happened to end up with a bunch of creative cache containers that are just begging to be placed out in the wild, so today I up and hid a couple along a new trail by Lake Townsend, just north of Greensboro. 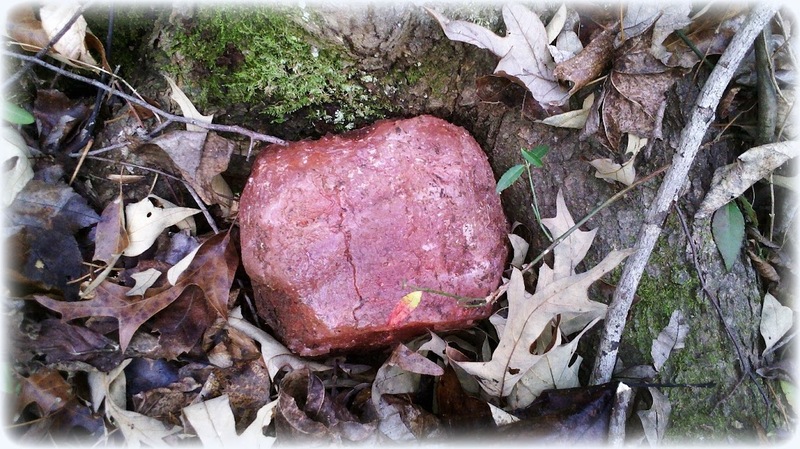 "Bloodrock" (GC43DEB, so named for a bright crimson mineral crystal I found out there), and "What's the Matter? Chicken?" (GC43DF0, a lock-n-lock box full of rubber chicken keychains, hidden in some slightly challenging terrain) now await some intrepid geocachers to venture out after them. Note: these caches are for premium members only, so if you're not one, those links will only take you to the main page at geocaching.com, not the actual cache listings. If you're a cacher and not a premium member, then by gummy you need to be. Go, go, go! Released by Echo Bridge, 2012; English language & Japanese language with subtitles. Additional material: Trailers, behind-the-scenes feature. 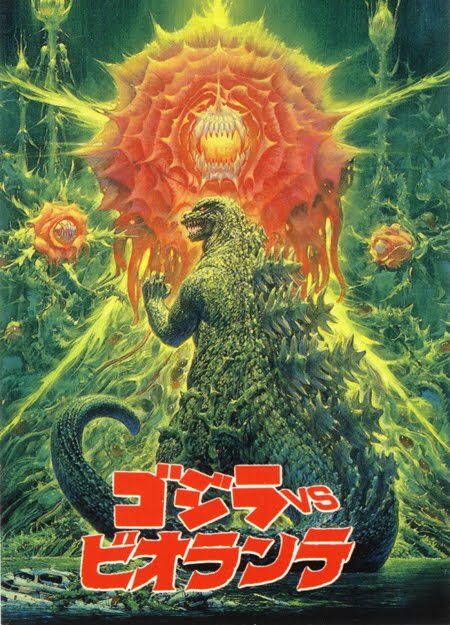 The second of the Heisei-era Godzilla films, Godzilla vs. Biollante is among the last of the Godzilla films never to have had a legitimate DVD release in the United States until very recently. The Echo Bridge DVD is just what the doctor ordered — incredibly inexpensive (I got it for $4.99 via Amazon.com), decent quality, with a very a nice behind-the-scenes feature. The audio options include the standard English-language dub as well as the original Japanese soundtrack, with two subtitle options. Biollante opens in the aftermath of Godzilla's raid on Tokyo from the previous film. A research team collecting Godzilla's cells, which have been scattered among the ruins, is attacked by mercenaries from a company called Biomajor, who abscond with the Godzilla cells. But then the Biomajor team is then killed by a lone stranger, who proceeds to grab the Godzilla cells for himself. Turns out the stranger is agent SSS9 of a Middle Eastern nation called Saradia, which is funding research by Dr. Shiragami (Koji Takahashi), who hopes to combine Godzilla cells with grain cells, in order to create an indestructible, inexhaustible food supply. Shiragami, however, also has an agenda of his own: to use Godzilla's secret of immortality to resurrect his dead daughter, Erica (Yasuko Sawaguchi). His experiments go hopelessly awry, however, resulting in a bizarre hybrid of plant, human, and Godzilla cells. Meantime, in attempt to regain a supply of Godzilla cells, used to create Anti-Nuclear Bacteria — which can, in theory, utterly neutralize Godzilla — Biomajor threatens to unleash the great beast from his volcanic prison by setting off bombs at Mt. Mihara — which they end up doing. Godzilla emerges and, after a foiling an attack by Japan's newest defensive weapon, Super X2, enters and tramples Osaka. 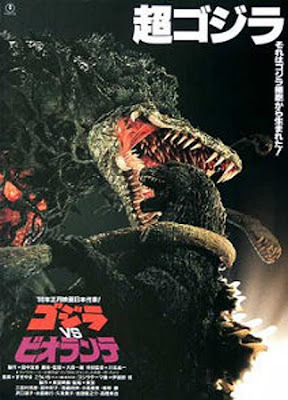 Biollante appears and attacks Godzilla, and the two monsters tear into each other, resulting in Biollante's apparent defeat. The Japanese military attacks Godzilla with Anti-Nuclear Bacteria, but it has no apparent effect — Godzilla's body temperature is too low for the organisms to be activated. To raise its temperature, they lure it to a microwave array, which creates artificial lightning, but then a bigger, transformed Biollante appears and attacks Godzilla again; this time, Godzilla disintegrates it, sending its spores drifting toward outer space. Finally, the Anti-Nuclear Bacteria begins to work, and Godzilla retreats to the sea, its ultimate fate uncertain. SSS9 returns a final time and murders Dr. Shiragami, but Super X2 pilot Kuroki (Masanobu Takashima) activates the microwave weapon and kills the Saradian agent. Biollante, being a mutated hybrid, proves to be Godzilla's most unusual foe since Hedorah. The science-gone-awry aspect draws on at least a semblance of a real-life fear: that of genetic manipulation creating an unexpected horror. As part rose, part human, and part Godzilla, Biollante is a terrifying yet at least marginally sympathetic character. There's no stereotypical good-monster-vs.-bad-monster scenario here; just a pair of instinctive foes grappling for survival. The complex Biollante design is novel, to say the least and, with the combination of well-constructed miniatures and effective cinematography, achieves an impressive and memorable onscreen presence. The Godzilla suit surpasses the design used in the previous movie, closely resembling the 1954 original, and becomes the prototype for the suits used in all of the Heisei-era films. The evil-looking facial features, with the unprecedented addition of red and black eyes and a double row of teeth, imbue Godzilla with a distinctly fearsome demeanor, very appropriate to the scope of this film — and to my mind, even more menacing than its pupil-less visage used in GMK in the Millenniium series. Like most of the Heisei-era Godzillas, Biollante features a large cast, mostly utilized to good effect. Koji Takahashi plays Dr. Shiragami as a driven, brilliant eccentric, but also with a sensitive, sympathetic side. Takahashi's performance is understated rather than over-the-top, which is the far more effective approach. Megumi Odaka makes her debut as Miki Saegusa, a psychic who develops a special rapport with Godzilla, and continues the role through the remainder of the Heisei series. This is her best appearance, for she takes an active part in locating and then attempting to psychically combat Godzilla. JSDF Lieutenant Gondo, played by Toru Minigishi, stands out as one of the film's best characters, thanks to Minigishi's subtle quirkiness. His best moment comes when he attempts — unsuccessfully — to defuse the bombs planted at Mt. Mihara that will release Godzilla. As the clock counts down, and he realizes all is futile, he stands back, defeated, and utters a simple, "Amen." Unfortunately, Koichi Sugiyama's musical score leaves much to be desired, frequently sounding thin and frenetic, more akin to an anime score than a live-action film. Conversely, the grander orchestral themes are entirely derivative of John Williams and play more like parody than true scoring. The best soundtrack cut is the opening theme, which has an eerie undertone, building to a driving, thudding pace, punctuated by sharp brass. Fortunately, this track, with a few variations, is used to good effect at several key moments in the film. 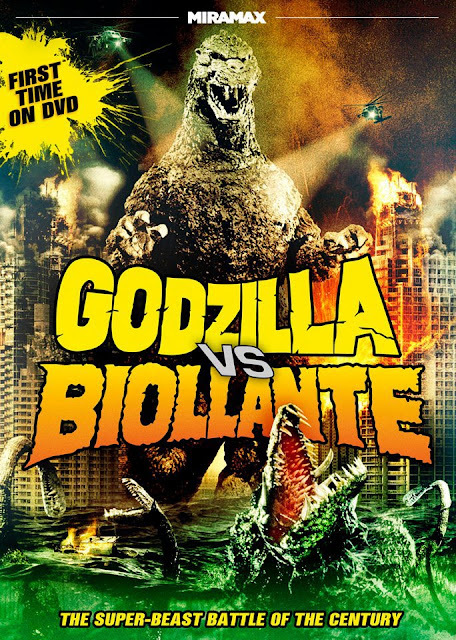 Godzilla vs. Biollante offers some novel ideas, decent characters, an interesting new monster, and a superb redesign of Godzilla. Though the film's flaws oftentimes stand out rather painfully, its many good — and occasionally excellent — moments make it a most noteworthy entry in the Godzilla universe. Ahh. I do so love me some Christmastime. This year, it's anything but unhappy — I'm spending it with the people I love most, except for my daughter and brother, who couldn't be here — yet it does seem a little "off" in some crucial ways. My mom has suffered the loss of more than one of her closest friends quite recently, which makes the holiday for her bittersweet. I have been experiencing a few medical issues that are uncomfortable, to say the least, and that will require some further testing. Kimberly's dad was recently in the hospital undergoing major surgery (fortunately, he has come through with flying colors). For me, even when things have been otherwise rough, Christmas has generally been an oasis of happiness amid the storm. Somehow, everything seems a bit more fragile this year, and it's mainly due to the fact that some of us — no names mentioned — are just plain getting older and dealing with those inevitable age issues. I gotta tell you, as some of my mom's friends are fond of saying, getting old isn't for sissies. Still, today's company and setting couldn't be better. I've gotten in some caching. Kimberly and I just had a fabulous Mexican lunch, and we're heading out to see Skyfall (again) in just a little bit. All in all, for today, it would be hard to ask for anything more satisfying, so I guess I won't. How about this: I'm just going to wish blessings on the lot of you who come round this place now and again, and perhaps on even a few of you who don't. 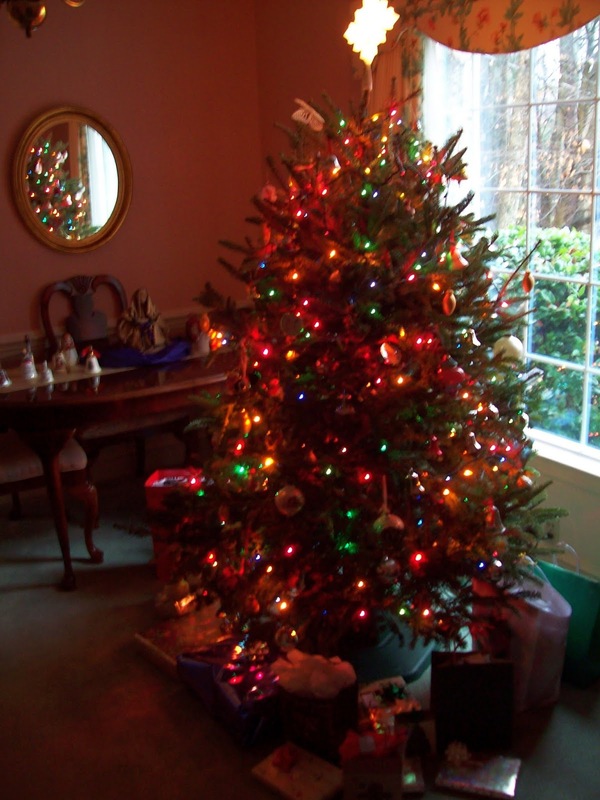 May you have the merriest of Christmases, or whatever holiday you celebrate, if any. Y'all be good, you hear? "...We are immersed in 1942, not only in the middle of a war, but in the mind of an imperial soldier of said war, and we witness the horrors of the man, the army and ultimately the monster itself. 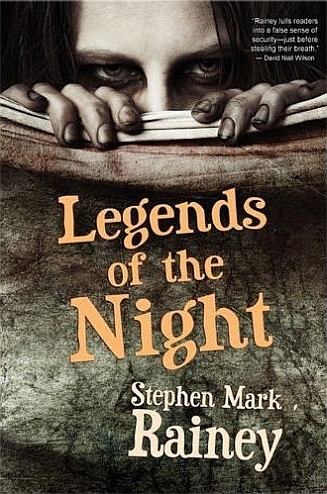 Whereas other historical horror stories (many which I eliminated from this article) generalized the historical setting to merely tell a horror story, Stephen Mark Rainey establishes the structure writers of this genre should emulate or at least aspire to imitate...."
Also, visit Mr. Servante's interview with me (and several other authors) at Cybernocturnalism: Old School Authors Speak Up, originally posted in October 2012. 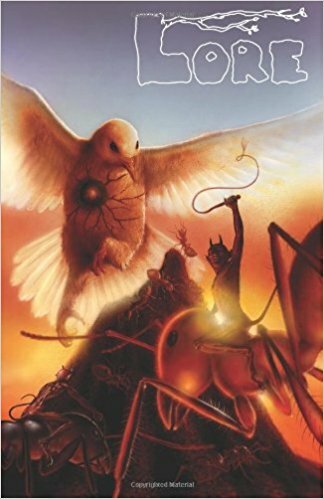 The superb cover artwork is by Christopher Allen. 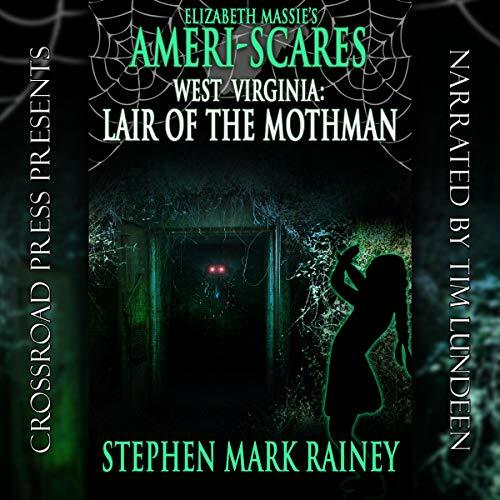 Visit Lore online at www.lore-online.com to pick up a copy of your very own — or to bestow as a holiday gift upon some poor, unsuspecting reader. Good creepy fun, you can bet on it, and this sucker is out just in time for the horrordays. You smile, I smile; yes, please. That's some little head that old Trail Dawg's got right there, wouldn't you say? Hey, and not to mention a big ol' bug. These are just a couple of the happy hides we uncovered in Danville this weekend — mostly at Angler's Park and on the Riverwalk along the Dan River. 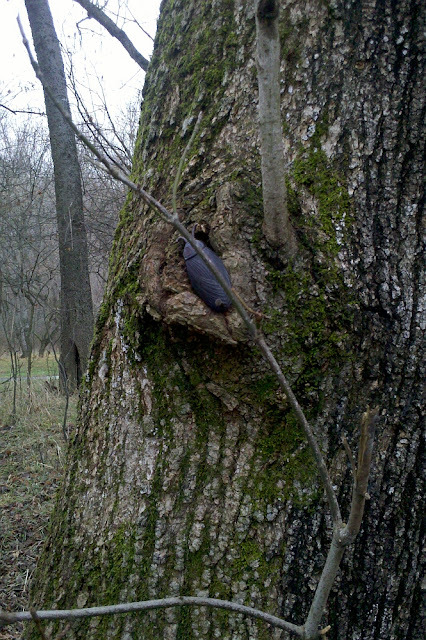 Every time I think there can't possibly be room for any more geocaches in that vicinity, a new bunch pops up. Mr. Isenhour and I spent the better part of yesterday exerting ourselves mightily and snagging a number of clever hides, followed by a big ol' whoppin' Ham's burger. Over a period of a couple of years, Danville has gone from having a scant handful of geocaches to becoming a regular Mecca of creative, oftentimes challenging hides (see "The Amazing Electric Rock & Other Caches," November 4, 2012; "Pastorale," January 9, 2012; "Nice Hat," July 21, 2012; "Caching Crew and the Blustery Day," February 25, 2012; "Triskphobia," December 17, 2011; "That Ol' Dan River," August 24, 2011; and others for numerous examples). Angler's Park, Dan Daniel Park, Ballou Park, the Riverwalk, the Richmond & Danville Rail Trail (a.k.a. 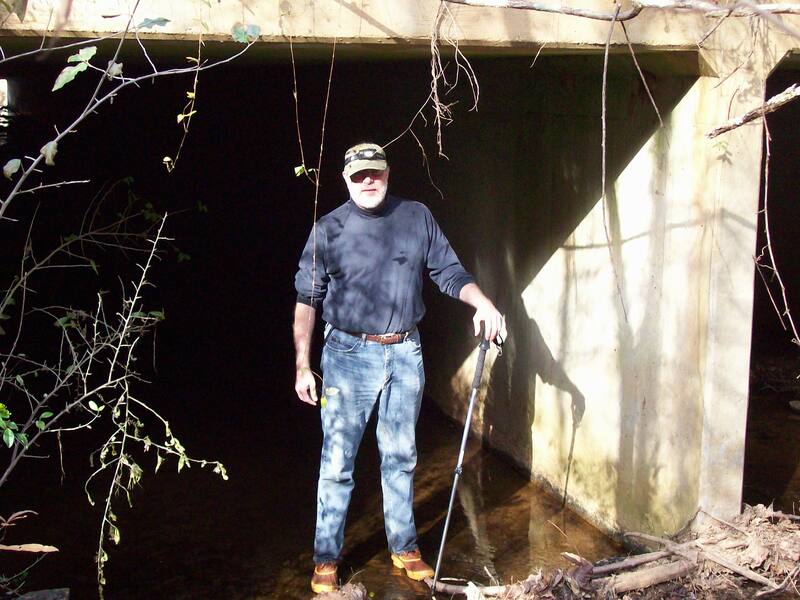 The Ringgold Trail), and numerous other locations offer veritable craploads of hides for the most avid geocacher. There's a couple that you have to get into a boat and paddle up the Dan to reach. Good stuff in this town, yes, sir. This sweet little guy has been hanging around my place for a few days. 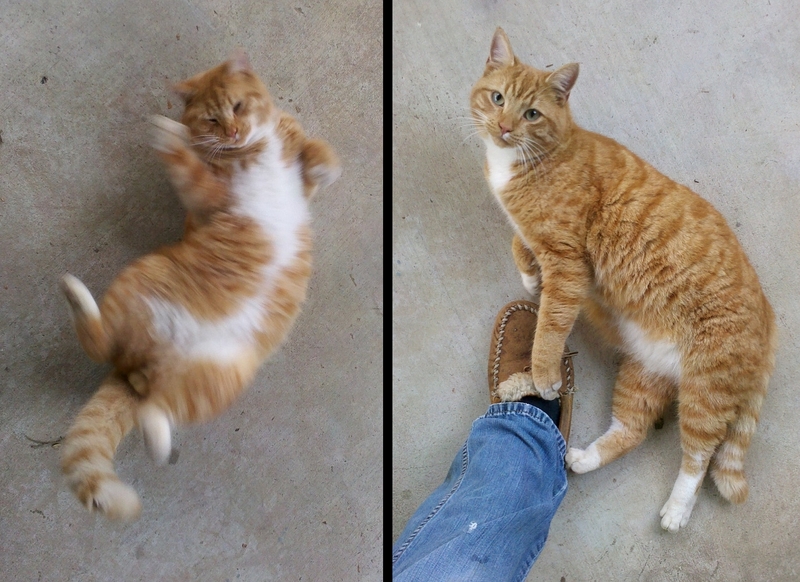 He's friendly, clearly well-fed, and looks healthy, so I suspect he belongs to someone. But he seems to want to take up here, and I've got all the critters I can handle. I do hope he has a home and is just enjoying an extended visit. Maybe he's enjoying my Christmas decorations — he did try climbing up the screen door so he could see in to look at the Christmas tree. He closely resembles a very young cat that used to come round here regularly a couple of years ago whom I called Scrapple — because he was such an energetic, scrappy little dude (who also climbed my screen door). That one hasn't been around for a long time, but the more I look at this one, the more I wonder whether it actually might be the same fellow. If it is, then someone clearly has been looking after Scrapple since he wandered off. Mercy, I hope he belongs to someone who will take good care of him. My guys are begging that it not be me. 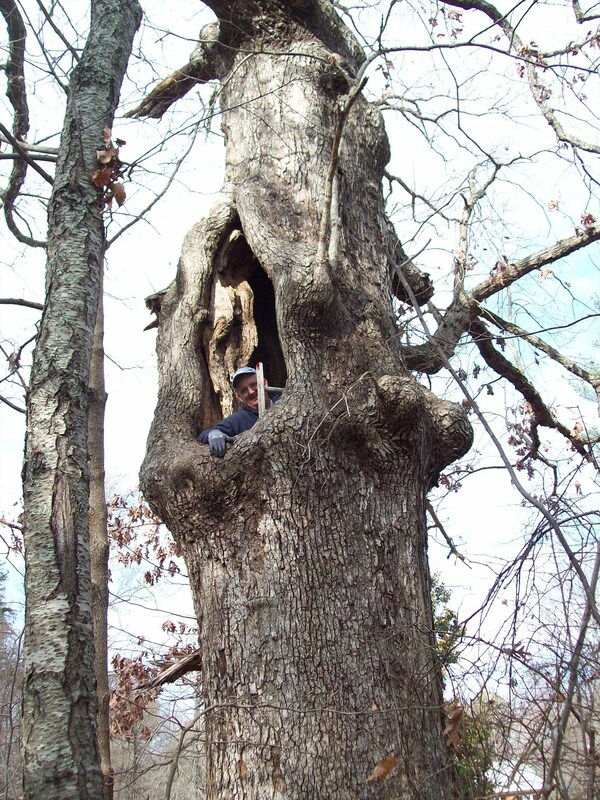 Yes sir, that is a dude in a tree. Apparently, it was just another summer weekend in December. Warm beyond the bounds of reason for this time of year — out geocaching in a T-shirt and working up a sweat with only minimal exertion. There wasn't that much minimal exertion going on, though; a fair bit of it went somewhere beyond. Yesterday, I spent a fine, full day on the caching trail in Winston-Salem before meeting up with Ms. B. and some friends for dinner and a spot of wine. 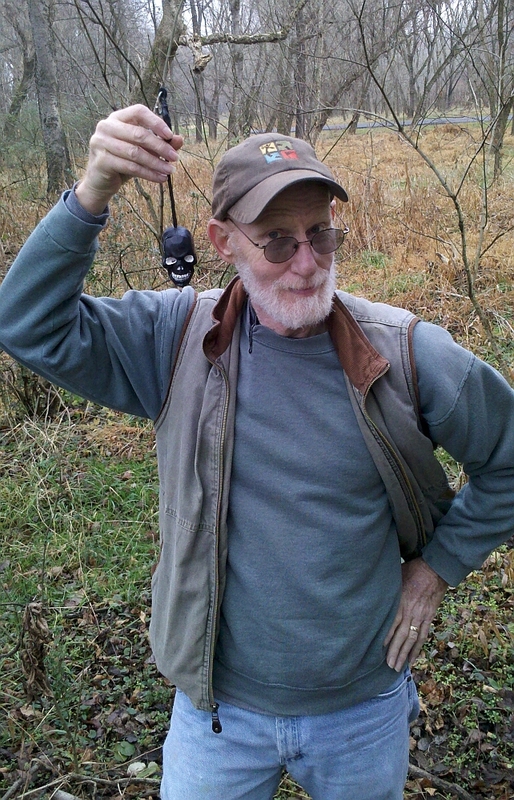 Today, I teamed up with Mr. Robbin "Rtmlee" Lee for a day of hunting a few of the more challenging hides in the area, including some in dark, dank catacombs, in graveyards, up retaining walls, and one in a big old tree — which required climbing up to a man-sized hole and hoisting the ladder into the tree to grab the ammo box lurking deep inside. I gotta tell you, if it weren't for Mr. Lee, who exhibited the true meaning of dexterity, I'm pretty sure that one might have skunked us. In keeping with the theme of extremes, I managed to consume naught but fiery, spicy food all weekend long — last night, Mexican (with loads of extra habanero sauce), and today, inferno-grade chicken wings for lunch and super-hot Thai food for dinner. That healthy glow you see on me may just be the result of about 500 roentgens. It was a more relaxing evening, going with Ms. Brugger to pick up her Christmas tree and decorating it — accompanied by another spot of wine, just for good measure. Happy stuff. This is up under a picnic table. 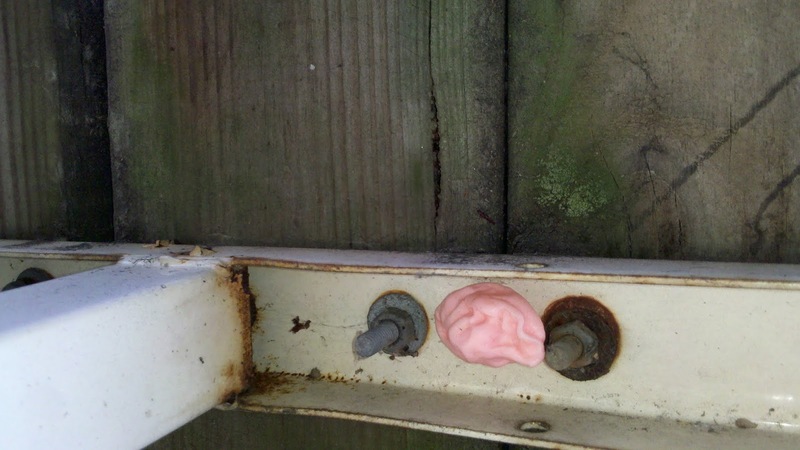 Which object is the geocache?